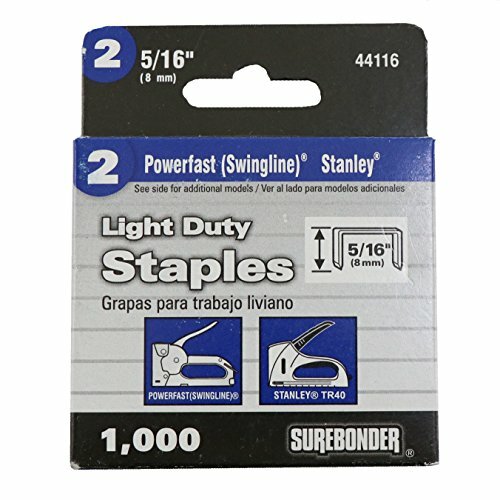 Surebonder 44116 Light Duty 5/16-Inch Leg Length, .500-Inch Crown Staples, Swing line Type, 1000/Box, 5 Boxes. Surebonder staples will meet all of your stapling needs. Our staples are designed for use with Surebonder staple guns and many of the other top name brand staple guns. ANSI Z87.1 Always wear safety glasses. If you have any questions about this product by Surebonder, contact us by completing and submitting the form below. If you are looking for a specif part number, please include it with your message.